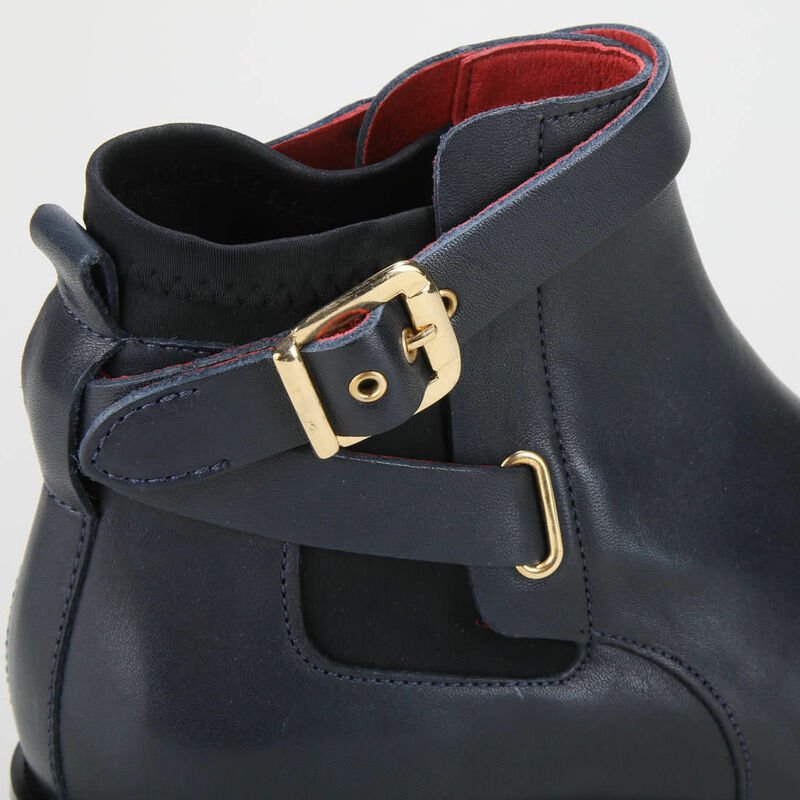 This Aqua Sky boot proves: Navy can be just as elegant as black. 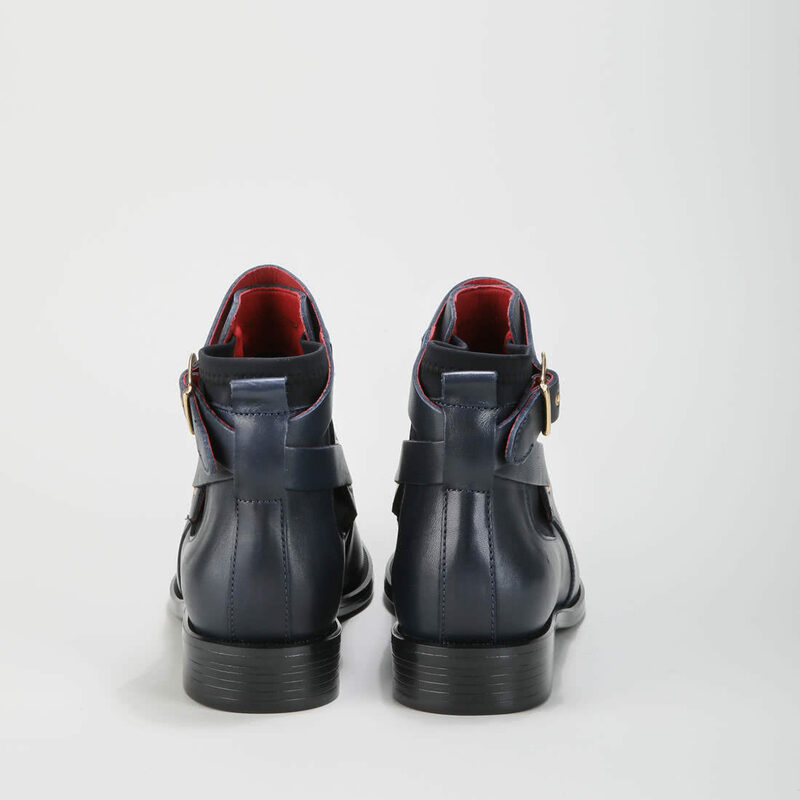 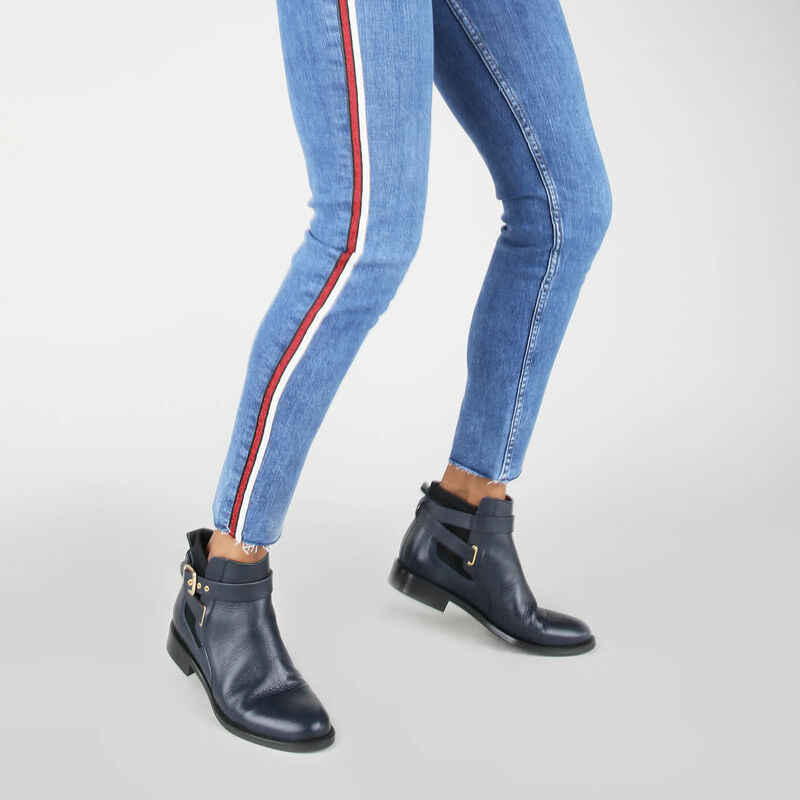 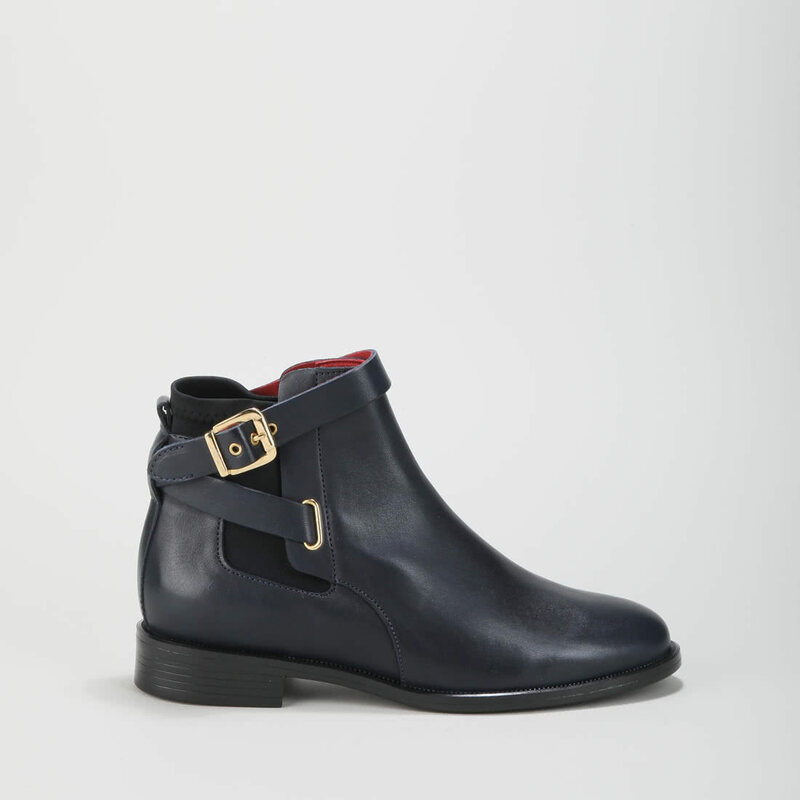 The dark blue boot features a comfortable Cuban heel, an elastic insert, and an adjustable strap with a golden clasp. 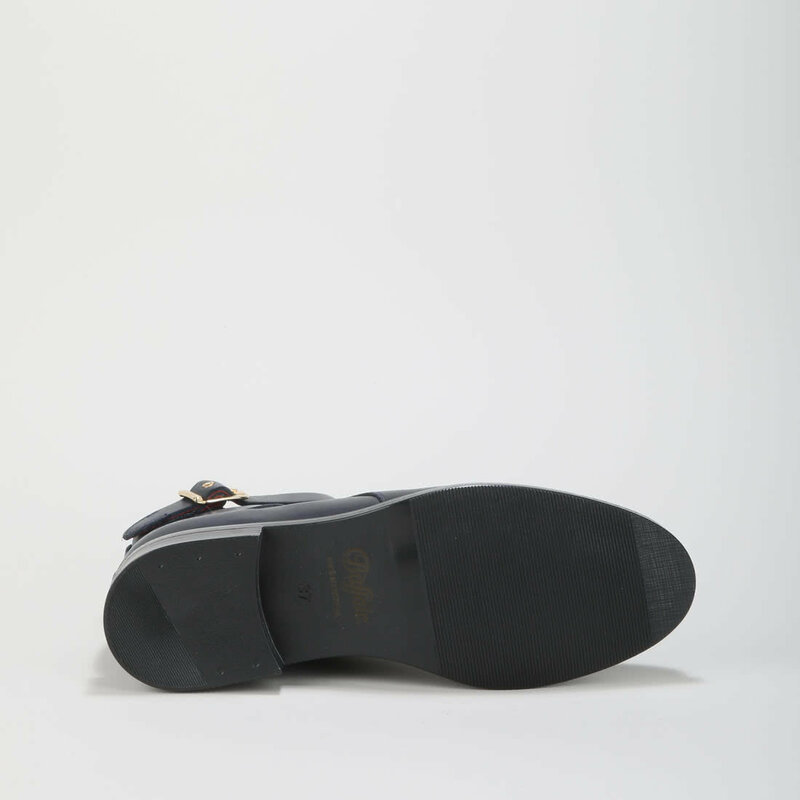 Especially elegant is the boot in combination with denim or earth tones.